With catchy song titles like "Hey, Wanna Throw Up? Get Me Naked," "Monkey!!! Knife!!! Fight!! !," and "Lemurs, Man, Lemurs," it's hard not to be at least a little bit curious about this Seattle-based quintet. Featuring members of Botch, Kill Sadie, and Sharks Keep Moving, Minus the Bear emerged on Seattle's music scene in 2001 with the release of their six-song EP This Is What I Know About Being Gigantic. The band comprised guitarist Dave Knudson, vocalist/ guitarist Jake Snider, drummer Erin Tate, and bassist Cory Murchy. Though the band entered the studio before they ever played a show, they toured aggressively in support of the EP, then returned to the studio to record 2002's Highly Refined Pirates, their first full-length album. Both the EP and LP were released by Seattle-based Suicide Squeeze Records. Though the song titles may lead one to believe that they're a novelty act, Minus the Bear provides polished, shrewdly arranged songs. Finger-tapped guitar riffs mixed with catchy melodies and unexpected time changes keep listeners interested and entertained. 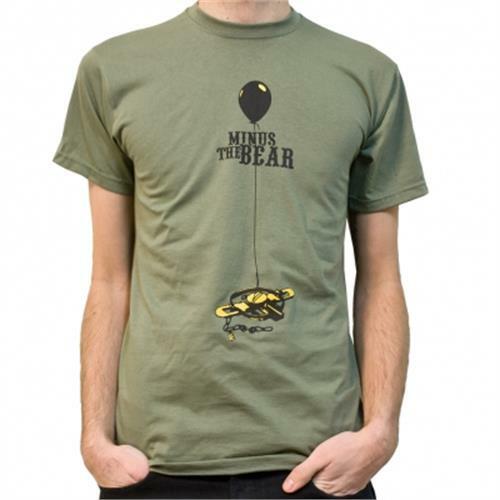 Minus the Bear issued two EPs in 2004: Bands Like It When You Yell "Yar!" at Them on Suicide Squeeze and They Make Beer Commericals Like This on Arena Rock. Their next full-length, the self-produced Menos el Oso (Spanish for Minus the Bear), appeared in August 2005; the remix album Interpretaciones del Oso followed in early 2007. The band released the full-length Planet of Ice later that year.